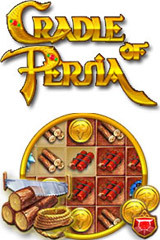 Cradle of Persia Free Game Download! great game . i totally recommend this game to anyone that really likes puzzle games and its also very fun so you dont have to worry about anything ! Upgrade your dynamite early, it becomes very useful! Comments: great game . i totally recommend this game to anyone that really likes puzzle games and its also very fun so you dont have to worry about anything !